Get your hands dirty learning some new skills and having fun in the kitchen with the spring cooking class series. Classes are all hands-on and will end with the group sitting down to enjoy what we've made together. This series of classes will be held on Tuesdays from 6 to 7:30pm at the Latin American Youth Center (just a block from the Columbia Heights metro station). Each class costs $50 per student, with a portion of the proceeds supporting the Food & Nutrition Program at the Latin American Youth Center. Any food allergies or requirements? NOTE: You are NOT confirmed for the class until you receive an email confirming your spot. Classes will be confirmed when there are a minimum of 4 students attending; class size is cut off at 8 students. Sure, you want to be healthy. And you know salads are healthy. But maybe you've had one too many soggy lettuce leaves this year. This class focuses on making healthy, seasonal salads that are packed with flavor and perfect bag lunches or dinner sides. We'll also review some easy and delicious homemade dressings to up your lettuce-based salad game, too. This class focuses on knife skills, giving you the chance to hone your slicing and diving abilities. It's for chefs of all levels, from kitchen novices to returning experts. Hand made pasta is a delicious treat that's surprisingly simple and incredibly fun to make. Learn to make pasta dough, roll it like a pro, and even pinch together your own ravioli. You'll learn best practices when working with fresh pasta, make an easy pasta sauce, then dig in to the delicious fruits of your labor. Famously healthy and flavorful, Mediterranean food is a growing part of many people's diets. It's also a great food to make from scratch and serve up for lunch, snacks, and dinner. In this class we'll make flavor-packed chicken kabobs, hummus, cucumber salad, and homemade pita bread. Once you learn these staples you'll be making them every chance you get! Galettes are a delicious (and impressive!) way to satisfy your sweet tooth. 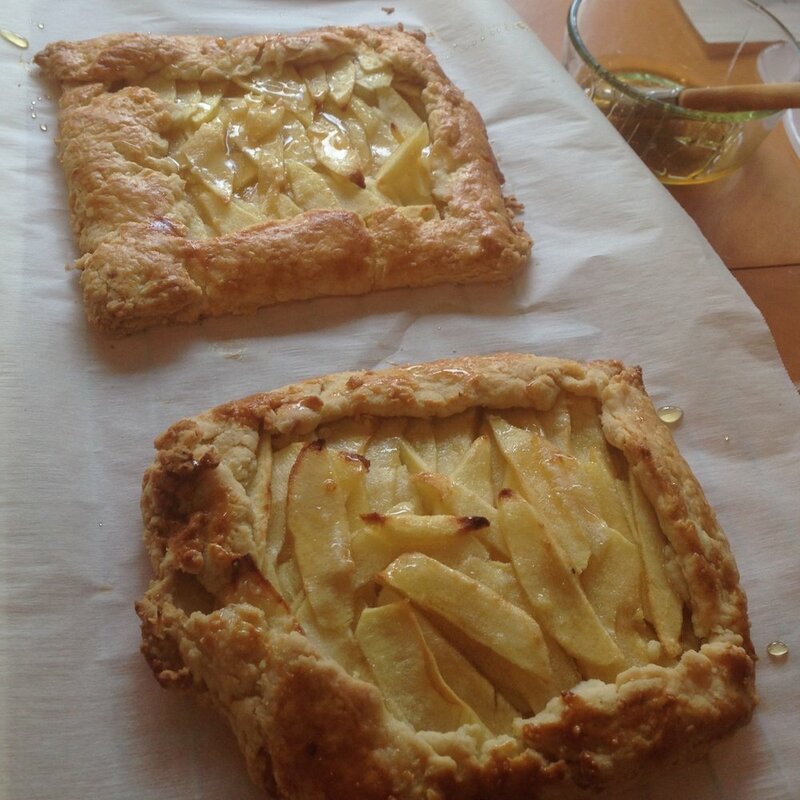 Essentially free-form pies, galettes can be savory or sweet. In this class you'll learn to make a versatile crust, and assemble a beautiful treat with a seasonal fruit filling. You'll go home with newfound confidence baking flaky crusts and ready to impress family and friends with your homemade desserts.